The Jubilee Party membership is open to any Kenyan citizen over the age of 18. Membership of the party is acquired by application, recommendation, nomination and registration. Applications for membership may be made to head office or to any other party offices countrywide. Alternatively, you can send your ID number followed by your names e.g. "12345678, Joseph Yusuf" to the shortcode 30553. Those eligible and desiring membership of the Party may apply either verbally or in writing to any authorized official or agent of the Party for enrollment, or through any approved digital platform for enrolment. Once membership is approved you have to pay the membership fees which is currently set at Kes 20 for the membership smart card. On payment of the prescribed fee, a member is issued with a membership number in a digital format, or a party card and/or certificate. 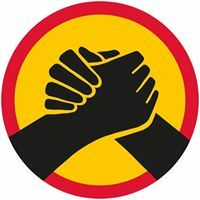 According to Jubilee, as a member of the Jubilee Party, you have the right to vote during the annual general meetings of the party, to seek election for any party position and to seek nominations for election to local, county or national government.